Even though the Slutsky family is big Met fans we rarely root against the Yankees and usually go to two games a season. Today's game started at about 1 PM, but at 1:30 the game was stopped for a 2 hour rain delay with the Yankees ahead 1-0. The game resumed about 3:30 as both starting pitchers were removed. 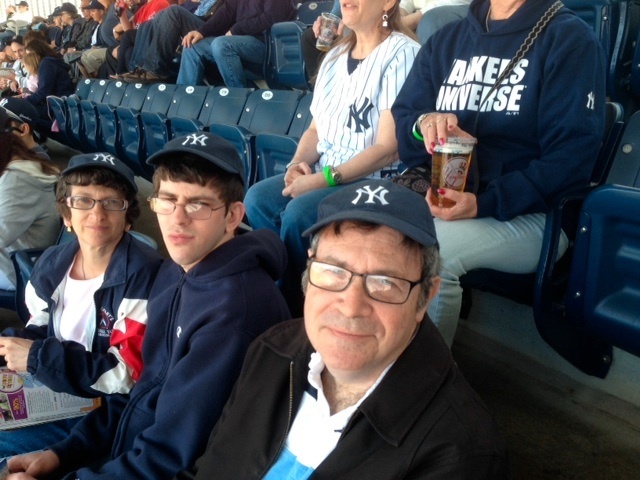 The Yankee bats came alive in the 4th inning as they scored 8 runs and eventually won the game 9-1. Since we had to sit through a long rain delay we left after the 7th inning with the big lead.